French composer of a multi-faceted style, 34 years old, Mid & Ric works his art for over 20 yo. Musician at heart, he reinvent itself through electronic sounds in which he explored many styles (House, Trance, psytrance, Tech-House, Tribal House, Techno) to create a new one: his own. 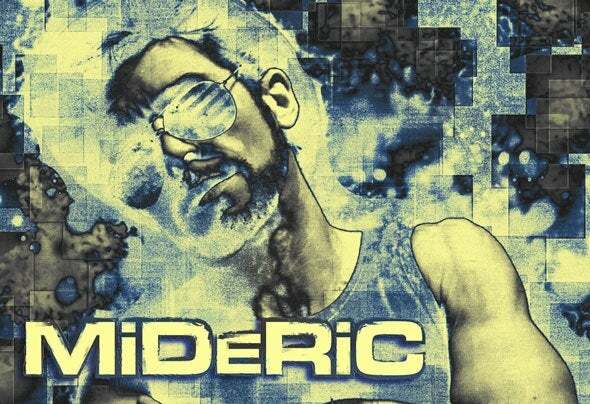 Mid & Ric (Mideric) fully flourish for many years under the French Riviera’s sun in juggling between residences in trendy clubs (’7 ‘, Zanzibar, Swann, Saint Charles, Maema …) and live performances in the evenings underground (Musik Messe Frankfurt, Minimal Antibes, The slaughterhouses … Marseille), without forget his passion, the studio composing and mixing. In 2003 the label Parametric interested in his work and released his first title on the compilation QfG. This earned him selection still to be played by DJs and radio playlists Russia and Germany. Arrived in Geneva Mid & Ric imposes a more minimalist style that never occur in places and events like the mythical Macumba, the Aiglon or Lake Parade. Its hard drive is full of amazing compositions.